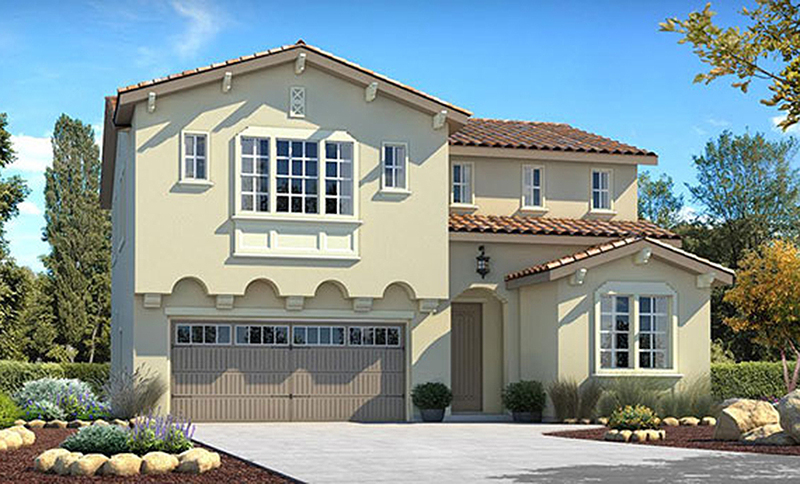 Signature Homes is offering a new way of living at Via Moraga, located among the scenic hills of Moraga. This enclave of 17 two-story homes ranges from approximately 1,968 to 2,570 square feet with four bedrooms and up to three baths. With gourmet kitchens, comfortable great rooms for casual living and a downstairs bedroom for visiting family or friends, these homes meet the needs of active families. Shopping. Enjoy the hometown feel of Moraga with its quaint downtown and annual Pear & Wine Festival. Stop by the Moraga Farmers’ Market at the Moraga Center with over 40 local California farmers and gourmet food purveyors every Sunday, 9am to 1pm. Fun events like the Halloween Harvest Festival, Costume Parade, the Grape Escape and the Easter Egg Hunt help connect children of market goers to the farmers. Hop over to the tree-lined streets, wide variety of shops, restaurants and specialty stores in Lafayette and catch the annual Taste of Lafayette, the Lafayette Reservoir Run and the Lafayette Art & Wine Festival. Arts Galore. Founded in 1950 as the Orinda Arts Council, the Lamorinda Arts Council has been stimulating, supporting, and advocating for the visual and performing arts in the schools and community for the last sixty years. Key contributions to the schools and community include Lamorinda Idol, the high school Visual Arts Competition, Art in Public Places, Orinda Library Gallery, Art of Mixology craft cocktail competition, Orinda Jazz Festival, Arts in Bloom Festival, school musicals and much more. Outdoor Adventures. The Lafayette Reservoir is an all-year day-use area ideal for hiking, biking, jogging, fishing, boating and picnicking, located off Highway 24 only one mile from the Lafayette BART station. Four legged friends on leashes are welcome to tag along! You can also join the Moraga Horsemen’s Association, open to Moraga residents who own or aspire to own a horse or is interested in equestrian activities. Higher Education. A St. Mary’s College education inspires learning that lasts a lifetime and practically in your backyard. Saint Mary’s engages the intellect and spirit, and awakens the desire to transform society. Engage with others learners working together to understand and shape the world. Convenient Commute. Easy freeway access to major cities for pleasure or work makes this the perfect location. Via Moraga is conveniently close to BART for commuting to San Francisco and Oakland with Lafayette and Orinda both having BART stations. The Lafayette station along with the Orinda’s BART station are on the Pittsburg/Bay Point–SFO/Millbrae line. Via Moraga . . . discover artful living. Be sure to follow Signature Homes on Facebook, Twitter, Pinterest, and Instagram as we share news and updates about our exciting new home communities as well as helpful homeowner tips.